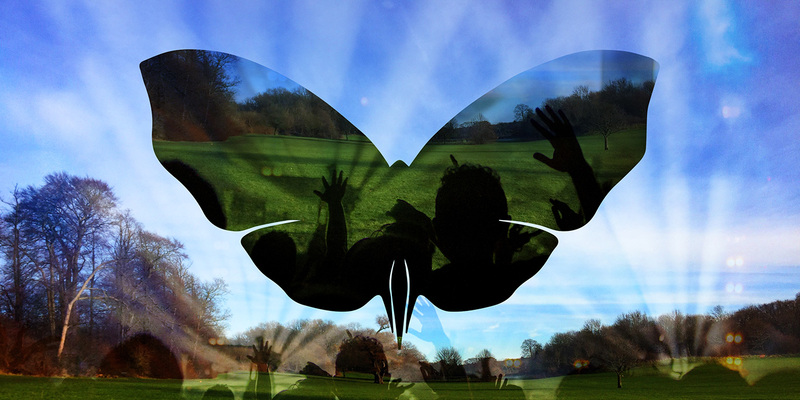 This summer you’ll be able to experience a butterfly of a different kind with the arrival of Croydon’s biggest music festival to date, The Butterfly Effect. Taking place this weekend at Lloyd Park, the two day event will see some pretty big names in garage, house music and urban beats descend on our borough for what is tipped to be one of London’s, must be at festivals of 2018. So who will be gracing the stages and burning it up on the decks I hear you ask. Well, my friends let’s take a wee look shall we. Festival gates open Saturday at 12 and a note that if you aren’t at the festival by 6pm, the gates will be closed and you’ll miss out on all the headliners I’m about to tell you about, but first up here’s who to look out for early doors. Saturday’s line-up has many names that jump out at you. Too many names to mention, so first on my hit list is DJ Fonti. Hailed as one of garage music’s best DJs for crisp biscuit mixes. Fonti, part of the Heartless Crew, built a reputation as the dons of UK garage which saw them enter the world of BBC Radio with a weekly show on 1-Extra. DJ Pied Piper, yes the one and only from UK garage collaboration DJ Pied Piper and the Masters of Ceremonies who had a 2001 number one with ‘Do you really like it’, will be hitting the decks on Saturday followed by duo Sweet Female Attitude who also reached the top spot with their single Flowers in 2001. The blasts from the past don’t stop there either. R&B singer songwriter Shola Ama will be performing. Shola got her first break when she was 15 years old. Singing to herself on the platform at Hammersmith tube station, a producer from Freak Street Records overheard her and it all snowballed from there. Her biggest commercial hit was a cover of Turley Richards song, ‘You might need somebody’ in 1997. A true classic! MOBO Award winners, DJ Luck and MC Neal take the main stage before the absolute legend from BBC 1Xtra, Charlie Sloth takes to the stage. His radio shows are seen as a mark of prestige in the scene and is certainly a place where newcomers are aiming to freestyle on the show. A big break for many. Needless to say, he’s a name that people respect and a rightful headliner of the Saturday billing. Secondcity is a house and techno DJ and producer and certainly one to watch and see where music takes him next. His debut single in 2014 took not only the number one spot in the BBC Radio one mid-week chart, but soon followed the UK singles Chart and Dance chart with ‘I wanna feel’ also with the number one position. That’s pretty impressive. Detlef is next up bringing you the sound of the underground scene. Clubbers absolutely love his DJ skills of vibrant mixes and dynamic live sets and so you really won’t be disappointed with giving him your attention. Detlef has had a pretty intense touring schedule to date which has included the Ibiza closing party. Amassing over 3 million streams on Spotify is just testament to his popularity alone. Art Department need no introduction if you know your electronic music. Ground breaking, pushing the boundaries of musical genres, in fact taking a sledge hammer and smashing them down, it is little wonder that AD is constantly touring (150 dates a year) taking in some of the most revered clubs on the planet. Award winning, with more coverage from the music mags and blogs than you can shake a stick at, you’d be silly to not see their show. Taking over the decks and playing out the festival is Birmingham born DJ, Steve Lawler. Nicknamed the King of Space due to his hugely popular shows at Ibiza’s Space. This house DJ has released several mix albums, is a 5 time award winning DJ and runs record label VIVa Music. Yes, that means he has been and continues to be incredibly busy. Been a resident DJ at Cream and pretty much booked by all the top clubs, tick, had your wife on Come Dine with Me, tick, World tour, tick! Pretty excited to hear his skills? You should be. The festival is supporting the Lives not Knives charity which helps young people to take positive and preventative action against knife crime. All the more reason to buy a ticket, and get yourself along to Lloyd Park this weekend. (In fact if you’re planning to go on sunday buy your ticket from this link, as the ticket sales will go to supporting the charity. Have fun and do something good at the same time).